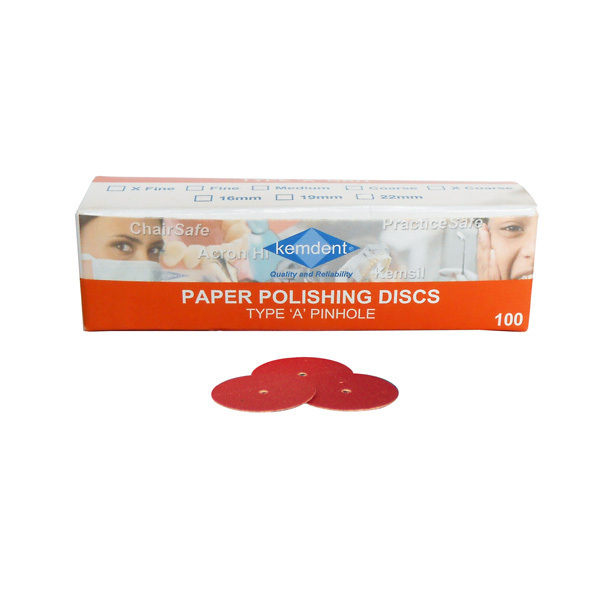 Popular with Dentists, Technicians and Chiropodists. 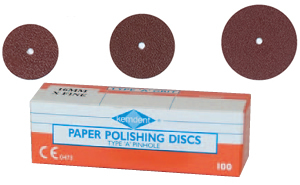 Type A pinhole discs are available in a wide range of grit sizes. Suitable for wet and dry conditions. 1 box contains 100 discs. Sold in outers of 10 boxes.